Revolutionary mascara MEGA SIZE LASHES ensures immediate effect of maximally long and thick lashes. 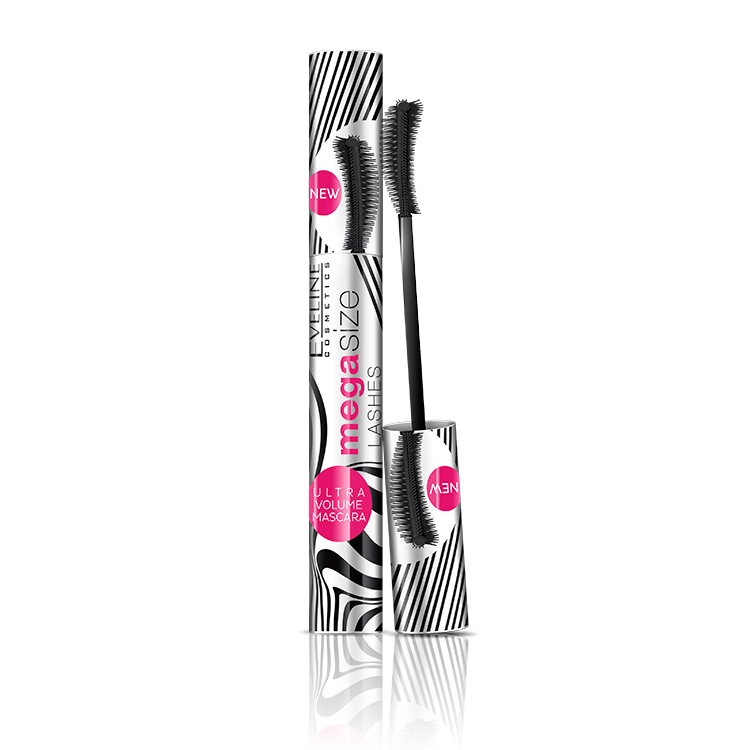 Innovative BEAUTY & CARE formula of the mascara makes lashes long, thick and sharp. Profiled, silicone DOUBLE BRUSHTM thoroughly spreads mascara onto lashes. Silicone Microcombs thoroughly separate lashes and maximally lengthen and thicken each of them from the bottom to the very tip. Formula rich in mineral pigments, rice wax, carnauba natural wax and vitamins (A, E and F) complex perfectly reinforces, nourishes and conditions lashes. Prevents lashes falling out and breaking, stimulating their growth. Thanks to the content of D-panthenol mascara is extremely gentle for eyes i and does not cause irritations.